For kindergarteners, the concept of 100 is dazzling. Counting for some students is a new and sometimes challenging adventure. Creating interactive and enjoyable lessons that invite students to participate is the quickest means to having students counting to 100 and beyond. Students will be able to count to 100 by 10s. Students will explore what 100 items look like. Students will recognize the number 100. Students will be able to group items into 100s. Begin your centennial day celebration on the first day of school by introducing the number one to students. Hang a picture of the number on the wall. On the second day of school, introduce the number two (count to two), and hang a picture of the number two next to the picture of the number one. Point to the number after it is hung, say it, then have students repeat the number after you. Continue this for each day of school, introducing a new number and counting to that number until you have come to day one hundred. Call students to the reading circle. Congratulate them on reaching their centennial day celebration. Read the book “Miss Bindergarten Celebrates the 100th Day of Kindergarten” by Joseph Slate and Ashley Wolff. Present the various items you have gathered and ask the students to tell you which one they think has 100 and explain their reasons. 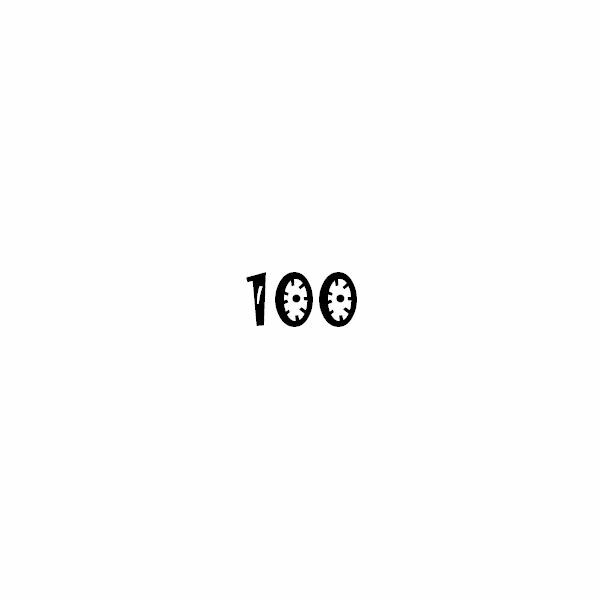 Once all the students have had a chance to guess which group has 100 in it, proceed to count each group. Congratulate the students for the ability to be able to count to 100. NOTE: This downloadable children's book list has a variety of selections for celebrating the one hundredth day in the classroom. If possible, provide a basket of these books for students to read the week of your class's celebration. Create, "Our Book of 100" for your classes reading center. Provide each student with paper and a set of the pre-cut numbers. Ask them to glue the numbers onto the paper to form the number “100”. Have the students decorate their “100’s” any way they want. Allow the pictures to dry. Laminate each picture (if you do not have a laminator, use clear contact paper). Bind to create a book to put in the reading center. Hang a large map of the state in which your school is situated. Put a sticker or pin to show where the location of the school. Show students the legend on the map indicating how far five or ten miles is. Ask students to estimate the distance of 100 miles. Put stickers or pins on their guess. Using a map compass, draw a circle from the spot where the school is to 100 miles out. See how many of the students' guesses fell within the circle. On the board, write the numbers to count to one hundred by fives. Have students sit in a semi circle so that each can see the board. After pointing to each number, saying it and having the students repeat it; have some fun. Begin at one end of the semi-circle. Have the first student say five; the next says ten and so on until they get to one hundred. The first time, point to the numbers as the students say them. Then, see if they can go around by themselves. Once they are proficient with it, introduce counting by tens. Mix things up a bit by scrambling the students in-between so that students are not saying the same number repeatedly. Informally assess students by observing their ability to comprehend the concepts of counting to one hundred. If you feel a student is struggling with the concept, work one-on-one with them. Centennial day activities are a celebration that kindergarten students enjoy if engaged, challenged and allowed to be creative. Remember, celebrating the 100th day of school should be pleasurable. Students stressed due to fear of not giving perfect answers will not enjoy the day.